Siemens Wind Power wanted to assemble their most talented engineers for 48 hours in order to work on a concrete technical challenge. A “Hackathon” is an all-in-one innovation process that moves from formulation of challenge to idea generation – and final selection, prototyping, and pitch of these. The concept is composed of the words “hack” – separating a given product, service, or business model and assembling it in a new way to meet your own needs – and “marathon” – a hard and intense course. Hackathons often consist of twenty to hundreds of competitors who compete against each other. From the beginning, Innovation Lab assisted Siemens Wind Power in planning the Hackathon. As with all processes, we advise on scope, purpose, desired outcome, and alternatives. In this case though, we took on the entire project management from finding the right framework and content for the Hackathon as well as actual facilitation. The Siemens hackathon was extraordinary in terms of frames and content; The participants were flown from all over the world, there were inspiring speakers from Denmark and the United States. Innovation Lab’s Demolab was set up, and our illustrators helped participants visualize their ideas and solutions throughout. The winners of the hackathon were given a trip to Silicon Valley in order to be inspired by some of the world’s most innovative companies. The goal and concrete results from the Siemens Wind Power hackathon are confidential, but they proved that a hackathon is a format which also works in order to solve technical engineering challenges, as well as giving employees an experience with a significantly different way of working (9 out of 10 participants wanted to participate again). Not two hackathons are the same. And a hackathon should not stand alone for optimum effect. We have collected experience from Hackathons in all forms and all kinds of participants, including Maersk Tankers, Maersk Oil, Maersk Line, Arla, KK Wind Solutions, Offshore Wind Energy, MEED Dubai, Dubai Space Center, etc. 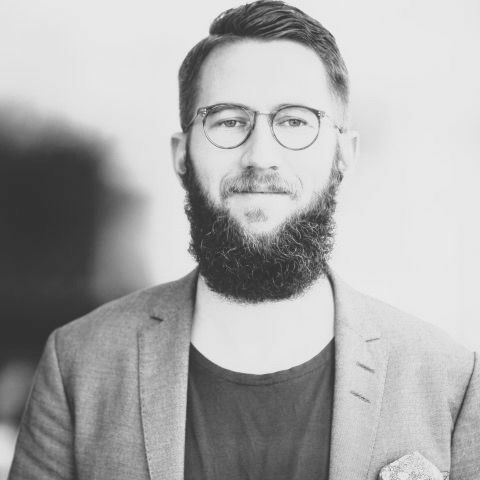 If you want to talk about the format – or if you are curious about hackathons and similar innovation processes – feel free to contact our hackathon expert Martin Schorling below.